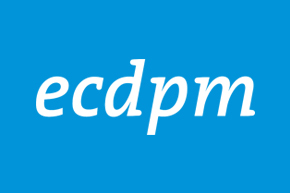 Neven Mimica, ECDPM Great Insights magazine, Spring 2018 (volume 7, issue 2). In 2015, the international community agreed on the so-called Sustainable Development Goals (SDGs) that set out a vision to overcome poverty and achieve sustainable development worldwide by 2030. To deliver on this ambitious agenda, different financing sources will have to be used. They include a much better use of domestic resources, public funds such as official development assistance (ODA), and also much increased investments. According to the United Nations Conference on Trade and Development (UNCTAD), the investment gap amounts to more than €2 billion a year. When investors want to seize economic opportunities, some challenges are recurrent, including access to finance, knowledge of local regulations, or lack of opportunities for risk-sharing. This is particularly pronounced in countries with less developed economic governance systems and in fragile contexts. In response, the new EU External Investment Plan (EIP) will address those challenges in order to trigger investments that contribute to our policy objectives such as overcoming poverty, fighting climate change and addressing the root causes of irregular migration. With an input of €4.1 billion, the EIP aims to leverage €44 billion of total investments in countries neighbouring the EU and in Africa. By promoting economic development, it will help create jobs, support economies and give people more opportunities in their home countries – thus also ensuring social benefits. • regular dialogues with governments, investors and stakeholders to improve business environment and investment climate in partner countries. The EFSD comprises € 2.6 billion in so-called blending, and €1.5 billion in guarantees. Blending is a form of development assistance that combines EU grants with non-grant resources. Loans, equity and guarantees from development finance institutions as well as commercial loans and investments allow investors to achieve a leveraged development impact. The European Commission has been successfully using blending to support projects for more than ten years. One example is the SANAD Fund, which targets the Middle East and North Africa. It provides loans, subordinated debt, guarantees and equity financing to local partner institutions, which then lend to small businesses, fuelling their growth. Micro- and small companies account for 60% of output and 70% of jobs in these regions, so they are crucial. In addition, a technical facility co-financed by the EU with €2 million offers capacity building and support to private finance initiatives. 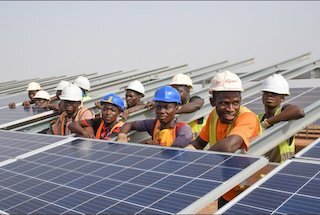 The EU has also provided €60 million towards a total investment of €180 million by the Boost Africa initiative between the African Development Bank (AFDB) and the European Investment Bank (EIB). It fosters start-ups and small firms by supporting the commercial apparatus that engages with these companies, including venture capital funds, angel funds and accelerators. In 2017, the EU agreed to invest nearly €1.3 billion in over 50 blending projects in Africa and the European Neighbourhood under the EIP; this should unlock more than €9.6 billion in public and private investment. The particularly innovative part of the EFSD is its guarantee element of €1.5 billion. It can cover a broad range of risks, including for local currency lending and political risks. 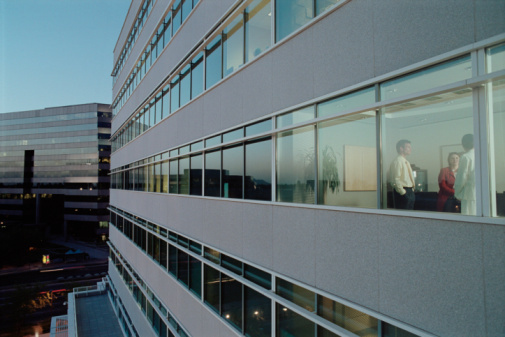 It would only cover pre-agreed specific risks, up to a defined ceiling. The guarantee can cover risks specific to a particular sector, such as off-take risks generating electricity through solar or wind parks. The EFSD guarantee will be provided to portfolios of investment to balance risks by including both fragile and more stable countries. First guarantee agreements should be signed in the second half of this year. The EFSD is open to contributions from EU Member States as well as other partners that could be in cash but also take different forms of guarantees. A first contribution from an EU Member State has already been received and discussions with other partners are also very encouraging. The EFSD’s guarantees will focus on five priority areas, the so-called investment windows. The first covers renewable energy and connectivity. Renewable energy is essential to build up competitive and low-carbon economies and partner countries need them to withstand the effects of climate change and protect the environment. The guarantee will also encourage investments in more sustainable, efficient and safer transport links between the EU and countries neighbouring the EU and in Africa, as well as within those regions. The aim is to improve logistics systems, unblock transport bottlenecks, and promote trade. The second area is expanding affordable finance opportunities for local businesses that are micro-, small- or medium-sized enterprises. These are the main providers of jobs across developing and transition countries and an essential part of local economies. The guarantee will also help to empower women-owned businesses and young entrepreneurs. This will be achieved by supporting improvements to the legal and regulatory framework and the way countries are run (good governance) under pillar 3 of the EIP. 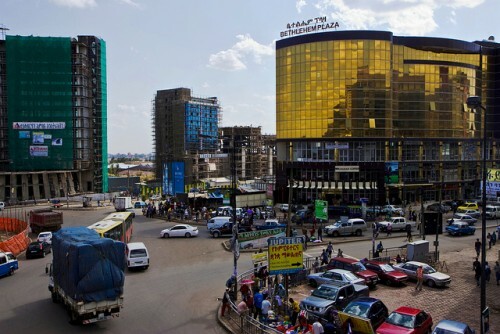 Development finance institutions were asked to present proposals for these first two windows until the end of January. The interest of these institutions has been impressive. More than 30 investment programmes have been proposed whose total guarantee envelope would already exceed the amount of €1.5 billion that is available for all five areas. 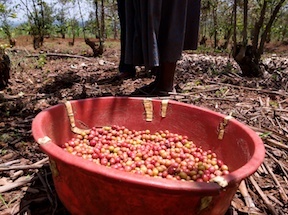 The third area on which the guarantee focuses is sustainable agriculture. Here it aims to create jobs, develop value chains, diversify agricultural production, and promote local skills. We want to encourage the development of farms and agri-enterprises, including smallholders, cooperatives and small businesses, which can sustain themselves financially, and which respect the environment and workers’ rights. The guarantee’s fourth focus area is sustainable urbanisation. The EIP will boost investment in sustainable and smart urban mobility; water, sanitation and waste management; food supply; air quality; and renewable energy and energy efficiency. By doing so, the Plan will help cities to mitigate global warming and adapt to climate change and build urban resilience. The guarantee’s fifth focus area is the fast-growing digital economy. The ambition is to widen access to affordable, secure broadband and digital infrastructure; improve access to finance for local start-ups; to develop e-Government and e-Health services; to promote digital literacy and skills; to foster digital entrepreneurship and job creation; and to promote the use of digital technologies to boost other parts of the economy. The deadline for submitting proposals in the last three areas was the end of March 2018. The Plan offers new opportunities for investors and businesses in the EU and in our partner countries. It will help us address common challenges, including poverty, migration, youth unemployment, and climate change. Investing in the EIP is an investment in peace and prosperity, not just in countries neighbouring the EU and in Africa, but an investment in our European future, too. If you are interested in taking part, there are several options. The EFSD will only be directly available to development agencies, development banks, and other entities which the Commission has entrusted to manage EU funds (entrusted entities). These will manage the individual operations, which the EFSD guarantee and blending will cover. However, if you have an investment in mind, you can fill in a webform in the one stop shop of the EIP webpage summarising your proposed action. The Commission will share this completed form with entrusted entities and other partners. You may also choose to contact the entrusted entities directly. A list is available at the same address. Businesses and investors can also contact EU delegations in the EU Neighbourhood and in Africa. One other important way to get involved is through the processes of formal dialogue with governments, business and stakeholders in context of pillar 3. In Africa last year we launched the Sustainable Business for Africa (SB4A) initiative. This will involve the private sector (profit and non-profit actors), facilitated by EU offices in African countries and EU business groups. To get involved, please email: EuropeAid-SB4A@ec.europa.eu. There is also the Structural Reform Facility for the Eastern Neighbourhood, which aims to help identify and formulate reforms of laws and institutions to promote investment in areas agreed with countries in the region. Neven Mimica is the European Commissioner for International Cooperation and Development. His full bio and blog can be found here. 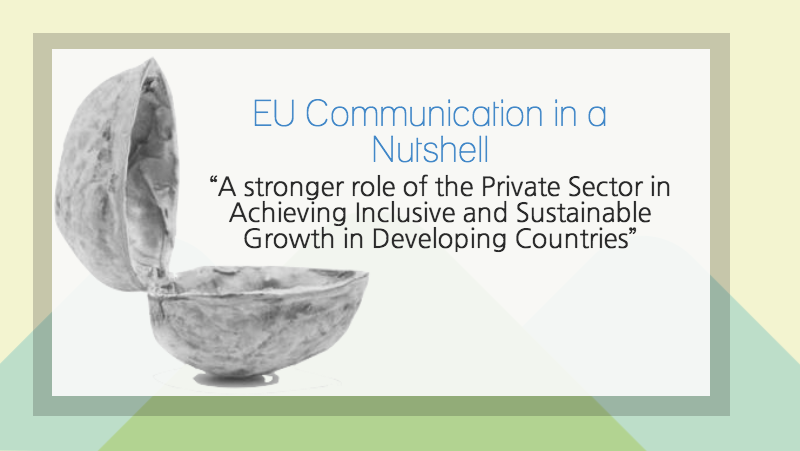 The EU Commission's Private Sector Communication - Communicating with Whom?